Griswold Yarn Winder from the collections of the Worthington Historical Society (WHS) may be used for educational purposes as long as it is not altered in any way and proper credit is given: "Courtesy of the Worthington Historical Society, Worthington, OH." Prior written permission of the WHS is required for any other use of Griswold Yarn Winder. Contact WHS at info@worthingtonhistory.org to request permission. Griswold Yarn Winder is realia, with genre equipment. A spinning reel with clicking mechanism was brought to Worthington, Ohio by Ruth Roberts Griswold (b. Jan 24, 1768 d. May 31, 1847) from Simsbury, Connecticut in 1803. Ruth was the wife of Ezra Griswold, Scioto Company proprietor. 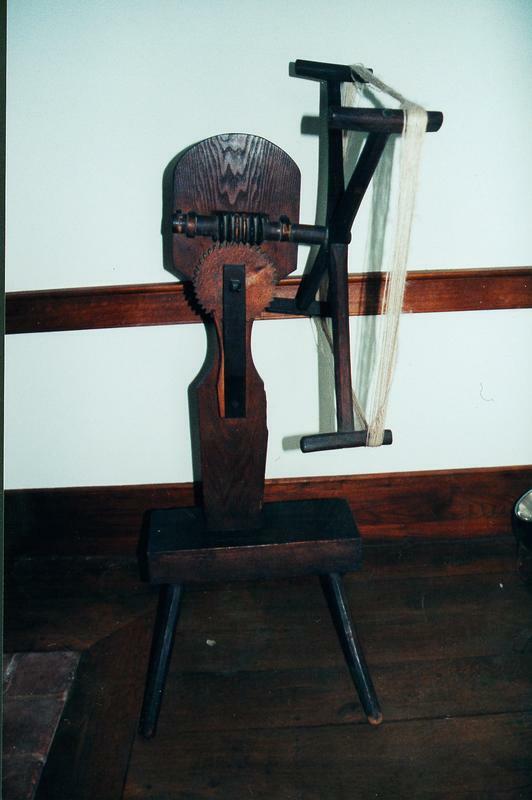 Known as a "click reel" or a "clock reel", the reel had a mechanism that would count the turns, helping the user to make skeins of uniform length. 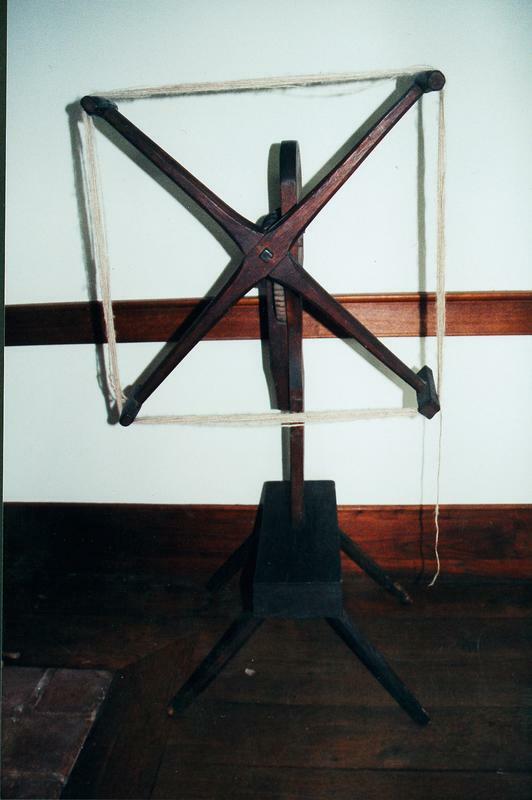 Spinning and weaving was an important economic function in most households around 1800. Cloth and clothing was produced at home, consuming great amounts of time and labor. Most people had only one or two changes of clothes, as textiles were very expensive. They were usually made of linen or wool, fibers that could be produced on farms. Cotton was a warm climate crop, and was not heavily used in the United States until Eli Whitney invented the cotton gin. Cotton textile manufacturing in New England, using water power, led to inexpensive fabrics and the demise of home weaving and spinning by the mid-1800's. The Griswold reel is on display at the Orange Johnson House in Worthington. It covers the topic Simsbury, CT. The Worthington Memory identification code is whs0380_001.